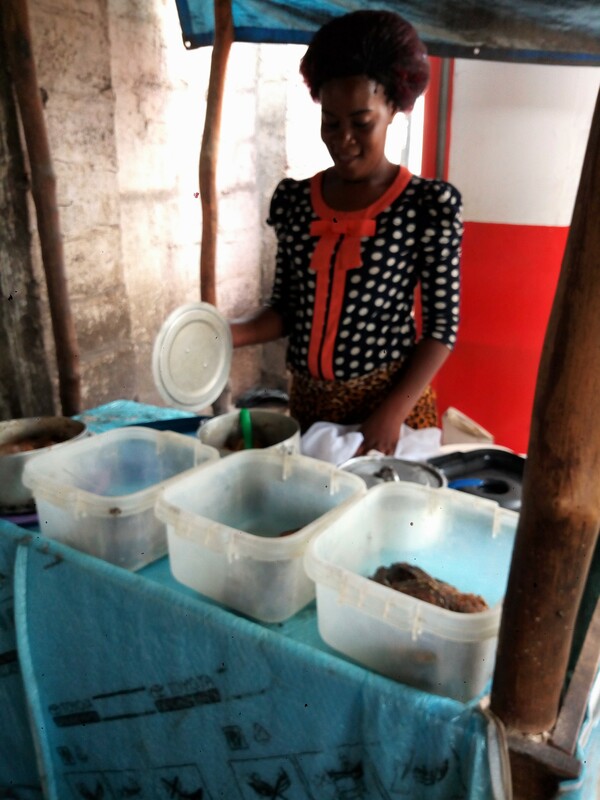 In March 2019, 209 new women were provided with a four-day business training. These women replaced the women who graduated earlier this year. This implies that in the first three months of 2019, 209 new businesses were started, and the 209 graduates are continuing to run businesses in the community. These businesses are in addition to the 400 or so businesses operated by women enrolled/graduates of this program. New women enrollees in our micro loans program are provided with a four-day business training before they receive loans to start businesses. This training provided is participative, hands on, and in the local language as most women have never been to school and many do not know how to read or write. Social issues, possible challenges and how economic independence can lead to empowerment are also discussed. Skills acquired during business training are permanent even if the business fails due to adverse circumstances and can be used in diverse ways to improve one’s quality of life. Goals of this training are to empower women by teaching them how to (i) run a business, (ii) overcome challenges, (iii) work as a team, (iv) run a profitable business, (v) become a responsible borrower, and (vi) develop relationships of mutual support with other women. In addition, trainees get an opportunity to discuss business issues and external challenges such as the cholera outbreak, with a mentor in the same line of business. Market investigation: The trainees are asked to brainstorm and come up with ideas on the kind of business they would like to start/expand, who their customers will be, the location of their business, and the process of selling their goods or services. Buying: Issues such as quality, pricing, sourcing of materials, quantity and frequency of purchases of raw materials/inventory are discussed. Costing and pricing: In addition to cost of materials, competition, and pricing of final product, trainees are asked to think about filling a need in the marketplace and developing unique products by using their individual talents and competencies. Selling: The concept of selling above cost and profit is introduced. In addition, ideas on how to attract and retain customers are discussed. Money Management: This module discusses the importance of bookkeeping and accounting. The women are encouraged to keep a Money Management sheet/book for their business finances. Guidance is provided on how to separate funds for capital, loan repayment, hire purchase expenses (if any), savings, and family expenses. This helps track their asset and capital growth. Savings and Banking: The women are encouraged to save a small amount each week. Information is provided on mobile/commercial/village savings banks. Pilot internship module was added to the current business training modules. This internship requires trainees to shadow a successful business owner for a week, so that they are exposed to the operations of a business before they launch their own business. The first set of trainees completed the internship in December 2018, and results are awaited. Creation of a simple business plan: By the end of the fourth day of training the women are able to provide: information on location of their business, where they will purchase raw materials/inventory, how they are going to set up their store, proposed mark-ups, a list of equipment (if needed), estimated fixed and variable costs, funds required to start/expand business, if more funds need to be borrowed, the profile of their customers, and how to attract/retain customers, and their goals for the next 1-2 years. If they think they are ready to start a business and begin selling, they graduate from business training and qualify for a loan. All 209 women completed the training successfully and were provided with loans to start businesses of their choice. In addition, the women formed groups (4-5 women in each group) to support each other in running their businesses. The newly trained women are applying business principles learned during this training every day. Upon receipt of loan funds, the women meet weekly to make repayments and discuss issues of importance to them such as health of their children, challenges faced in running their business etc. In addition, loan officers provide ongoing training, answer questions, and visit businesses on-site to mentor business owners. The women receive three consecutive loans and refresher training after receipt of their second loan. Loan recipients graduate after completing repayments on the third loan and a few come forward to mentor new loan recipients. Loan capital is revolving and available for a new set of women. In a relatively short span of time (12-18 months), most loan recipients are able to pay for food, rent, medicines, and school expenses, are more financially literate, and are investing in income earning assets.